Some Tibbits, such as #01 (four-line RS232 port) and #02 (universal RS232/422/485 port) are designed to work with UART lines of the CPU. Of course, nothing "bad" will happen if you just connect them to regular GPIO lines. After all, UART communications at low baud rates can even be emulated with regular CPU pins. The intended use of these Tibbits, however, is with TX and RX UART lines of the CPU. 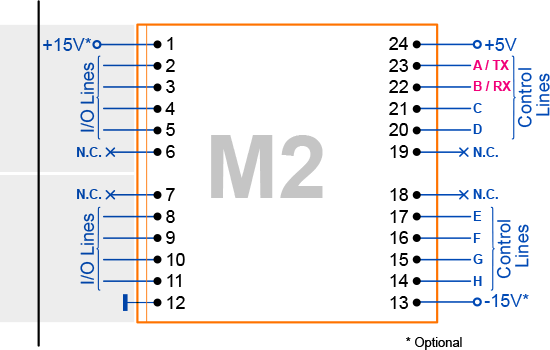 TPP2 and TPP3 boards offer four "M" sockets with UART lines.